The Devi Mahatmyam zip file includes the complete text in transliterated Sanskrit with English translation. 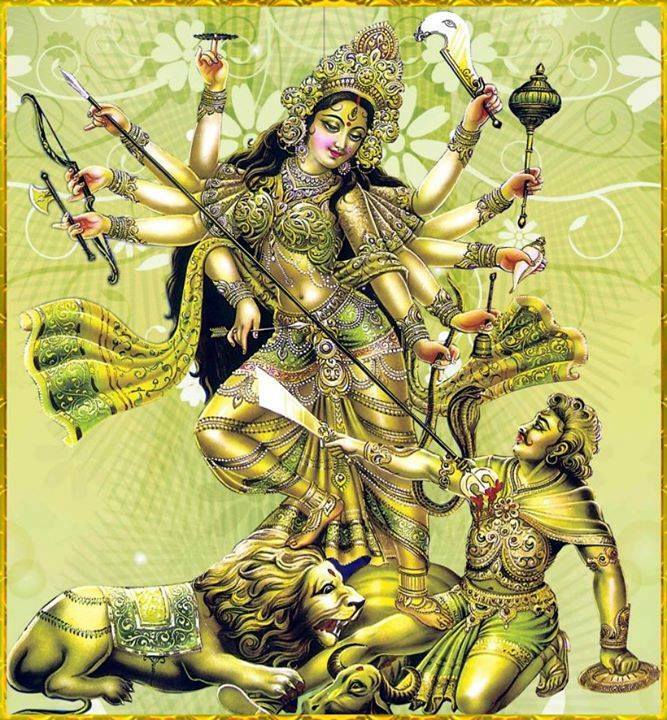 The Devi Mahatmyam or Devi Mahatmya ("Glory of the Goddess") is a Hindu religious text describing the victory of the Goddess Durga over the demon Mahishasura. As part of the Markandeya Purana, it is one of the Puranas or secondary Hindu scriptures. It was composed in Sanskrit around 400–500 CE, with authorship attributed to the sage (Rishi) Markandeya.